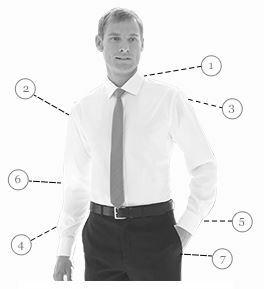 Cotton-rich long sleeve business shirt. Effortlessly stylish, contemporary tailoring. Easy-care and easy-iron practicality.. I have made several purchases over the three years and can recommend Brook Taverner. First time I have used Brook Taverner and it won't be the last. Excellent products, excellent service. 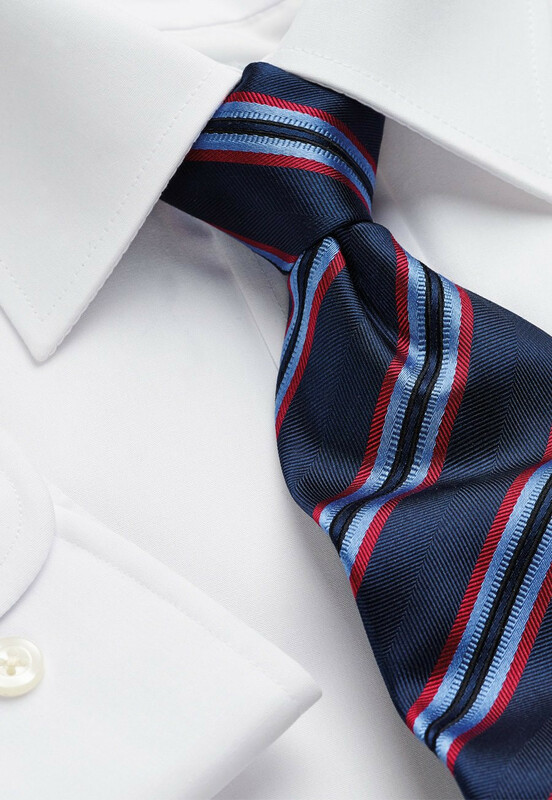 The cloth is very high quality with a subtle herringbone pattern. All in all this one fits the bill nicely - very happy! I was slightly sceptical to start, would these guys live up to my expectation. I must honestly say these are excellent value for money. I have now purchased 9 shirts and a suit over the last couple of weeks and each and every one is excellent. 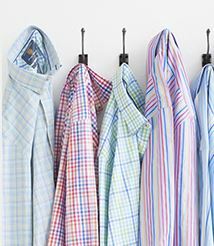 I have purchased a number of shirts recently from Brook Taverner and would recommend them for their quality, fit and price. Ok shirt. Material is quite thin as can see tattoos through it, which I don't on my other white shirts. Can't argue for the price though. Fits very well. 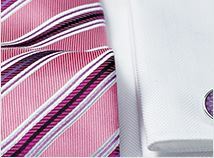 Two very nice shirts at a very nice price, Well done Brook Taverner. 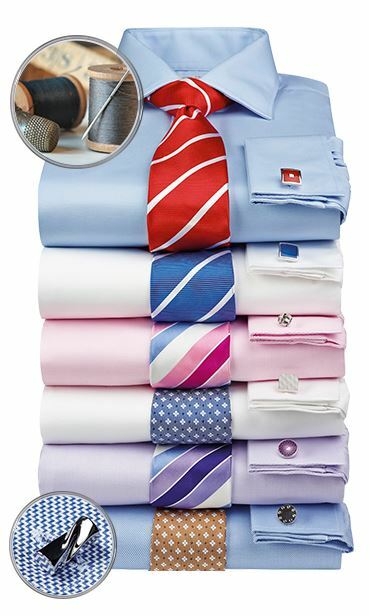 Shirts good quality at a very good price. Ironed easily when unpacked. Feels like a very nice shirt but yet too be worn. Bought as an alternative to the herringbone shirt as slightly lighter to wear in warm weather. Feels good and looks beautifully crisp and very white. An excellent shirt, generously cut and a fine fabric. Great value for money and wish I had ordered more. In fact I will this very week. This is not the quality I expect from Brook taverner. Poor fit. Awful material. Does this shirt have a breast pocket? This shirt does have a breast pocket. Is this shirt 100% cotton? This shirt is 55% cotton and 45% polyester. 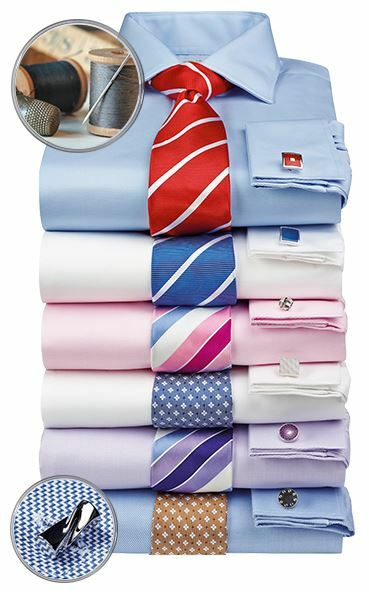 I needed a high quality shirt that has a luxury finish without looking too showy- The cloth is very high quality with a subtle herringbone pattern. The fit is generous, and not too slim like some shirts I have seen- All in all this one fits the bill nicely - very happy!